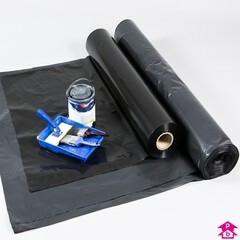 Get 20% off all black wide plastic sheeting - also know as builders' rolls - and protect a range of surfaces during building or decorating work, or use as a waterproof membrane. 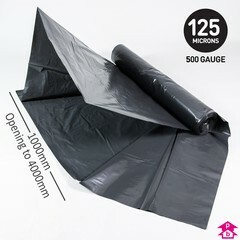 Black sheeting also absorbs heat, offers security and provides light-proof cover where required. 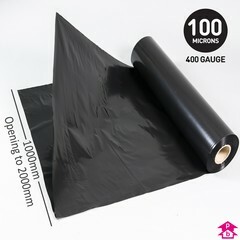 Available in 2 or 4 metre sheets that are folded down on to a 1 metre wide roll.